Catherine “Cathy” Anne Perez, 52, of Frankfort, passed away Thursday, April 4, 2019 at Aperion Health of Frankfort. She was born September 14, 1966 in Frankfort to Lonnie and Phyllis Darlene (Gleason) Scott. She attended Frankfort High School. Cathy worked for Acapulco Taxicab Company. She enjoyed fishing and loved spending time with her kids and grandkids. Cathy is survived by her children, Joseph Lee Greeno, Quintina Marie Greeno, and Jeromy Alan Greeno, all of Frankfort; sisters Lona (Mike) Dickenson and Lorina (Martin) Hackerd both of Frankfort; and grandchildren, Kayden, Layla, Hailey, Maribel, Chloe, Alina, and Jonny. Visitation will be held Tuesday, April 16, 2019 from 1pm until the time of the service at 2pm at Genda Funeral Home in Frankfort. Burial will follow at Scotland Cemetery. Memorial contributions may be made to the family in care of the funeral home to assist with funeral expenses. 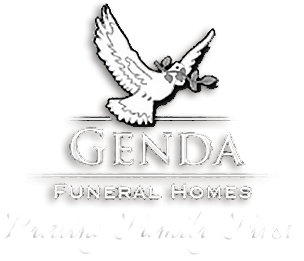 Online condolences may be made at www.gendafuneralhome.com.